Kick off your visit on the 27th (Wed): kick back and relax at Ile aux Cerfs and then pick up some local products at Marche de Flacq. Get ready for a full day of sightseeing on the 28th (Thu): stop by Historic Marine, then kick back and relax at Blue Bay Beach, and then get great views at Siva Soopramaniar Kovile Bel-Air Riviere Seche. To see traveler tips, photos, where to stay, and tourist information, go to the Beau Champ travel route builder . New Delhi, India to Beau Champ is an approximately 12-hour flight. 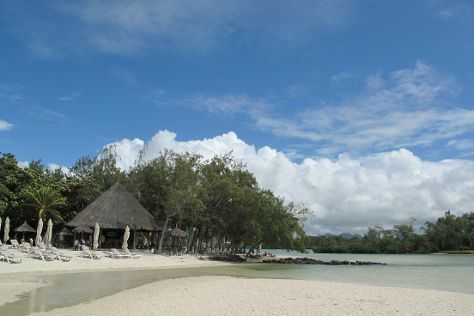 The time zone difference moving from India Standard Time (IST) to Mauritius Time (MUT) is minus 1 hour. Traveling from New Delhi in February, expect nights in Beau Champ to be much warmer, around 75°F, while days are a bit warmer, around 86°F. Finish your sightseeing early on the 1st (Fri) to allow enough time to drive to Chamarel. 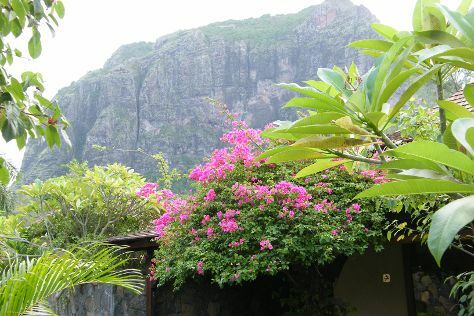 Start off your visit on the 1st (Fri): make a trip to Crystal Rock, take in the dramatic natural features at Le Morne Brabant, and then stop by Rhumerie de Chamarel. To find traveler tips, photos, other places to visit, and tourist information, you can read our Chamarel road trip planning tool . Traveling by car from Beau Champ to Chamarel takes 1.5 hours. In March, plan for daily highs up to 85°F, and evening lows to 75°F. Wrap up your sightseeing by early afternoon on the 2nd (Sat) to allow time for travel back home.